Welcome! 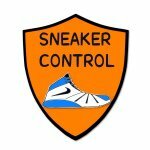 We will be keeping you up to date with all things sneakers! Such as, release dates, upcoming kicks, deals on shoes, sneak peaks of upcoming shoes, and NBA Kicks Recap (a segment on our instagram) which is showing you what players in the NBA where wearing.